Since we're going to be mirror-matching the test forces for a while yet, I want to spice up the test missions a bit. 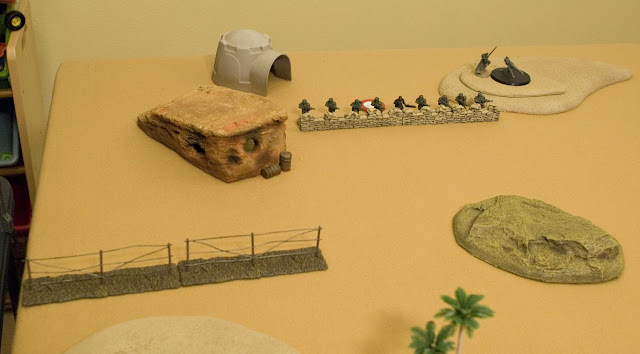 With the help of some pre-painted Pegasus Hobbies sandbags ($20 for 36") and barbed wire ($15 for 36") from the local hobby store, I want to have a mission where the defender is dug in against a superior foe. Here's a hypothetical setup. The only objectives on are the defender's side. 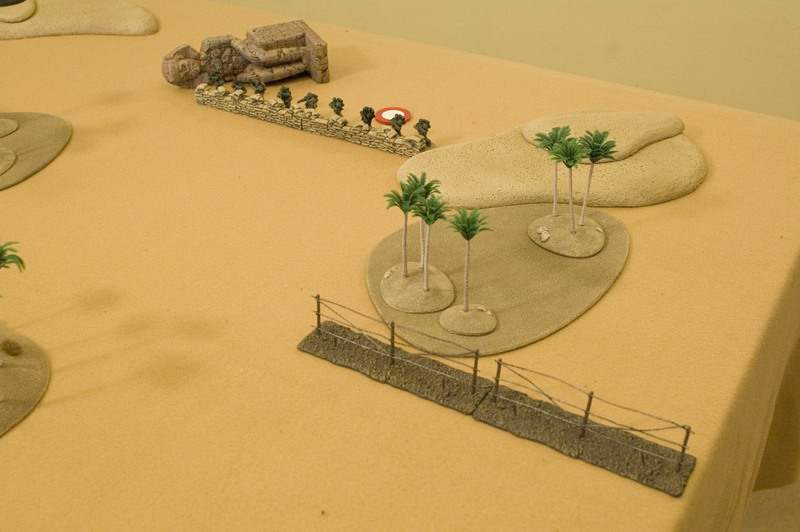 The defender gets half of his units (rounded down), and the rest must be put in reserve. Something like no reserves turn 1, one reserve die turn 2, two dice on turn 3, etc. Point is, he has to hold out for a while before help arrives. The attacker gets his full army, and deploys after the defender does. To help the defender hold out, he gets to dig in. In Flames of War this sort of thing means that you get a little marker next to your unit that says you're dug in. But we're a much larger scale, so hey! Why not put down actual sandbags? And since flanking is such a big deal now, why not let the defender put down some barbed wire too? Rules TBD, but I'm thinking that barbed wire should either be 1/2 movement to cross it, or some sort of moderately randomized roll. 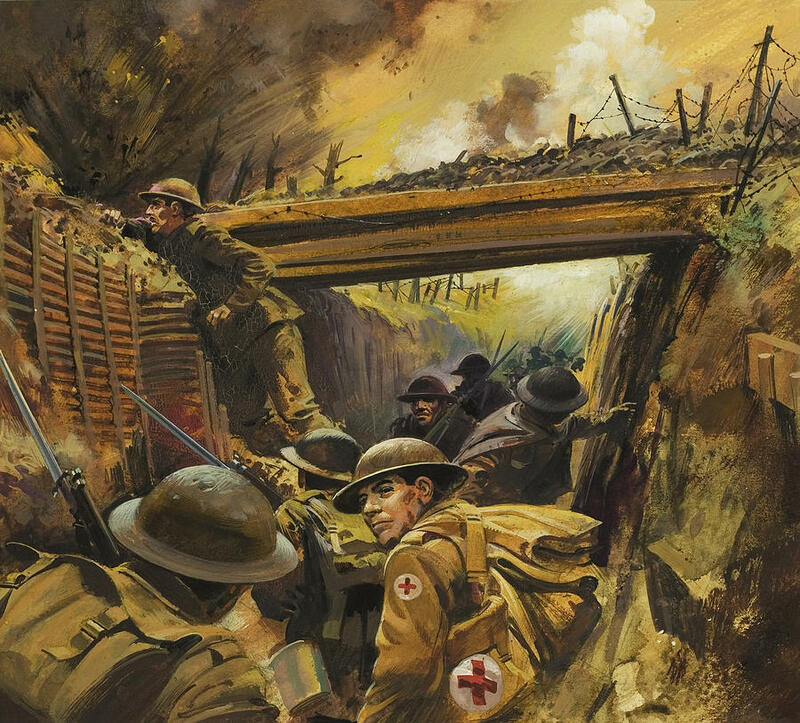 I'm also thinking that letting the players in a standard 2-Objective-Per-Side mission put down 12" of either sandbags or barbed wire could be a pretty interesting thing during deployment. 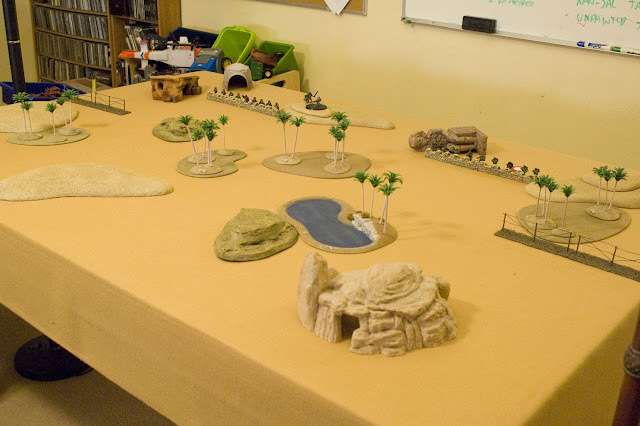 It would allow the players to fill in the gaps on a regular 40K-style table with a degree of tactical control/planning. In a defensive mission like this one though, all of the obstacles and sandbags would belong to the defender. Although we might let the attacker move a piece of area terrain slightly so that the defender doesn't always get a perfect setup.